Tulkas the strong or steadfast was the last Valar to enter Arda to aid in the battles against Melkor. He enjoys battle and laughs in the face of his enemy's. His greatest enemy however was Melkor who feared him and his laughter. Tulkas did not need any steed as he runs faster than anything that runs and has an unlimited endurance. It was when Tulkas wedded Nessa and slept because he was content and weary that melkor attacked the valar. 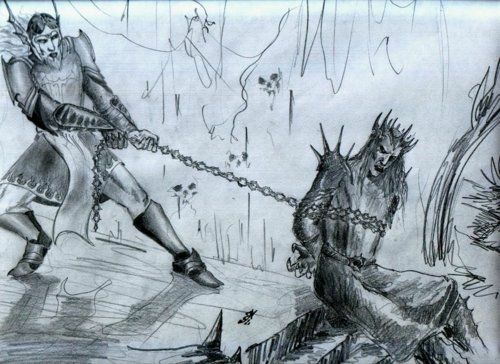 Tulkas never trusted Melkor even when Melkor received pardon for his crimes.